Reel Club, Oakbrook Center Mall. If you have already registered, we are looking forward to seeing you @ Reel Club. 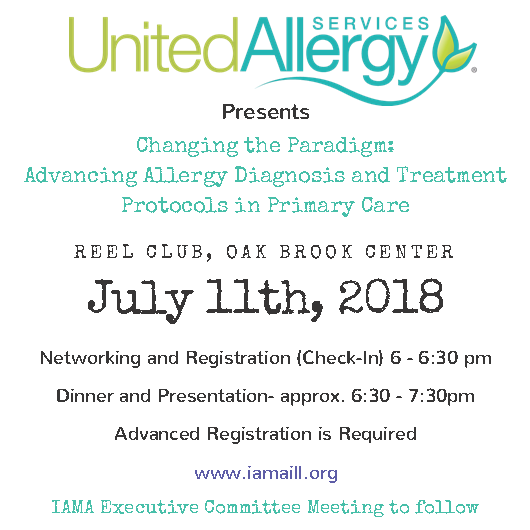 Registration is Closed, We apologize but this event has reached capacity, please join us on July 25th at Shaw's Crab House in River North where United Allergy will present the same program.